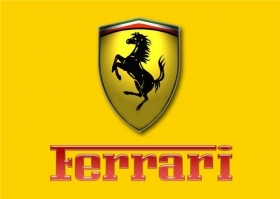 TURIN -- Ferrari plans to boost its profitability with the launch of four new models within the next three years, said Sergio Marchionne, CEO of Fiat S.p.A., which owns 85 percent of the supercar company. Marchionne said Ferrari's future product plan for the next five years will focus on increased product differentiation to target a wider customer base. Marchionne's outline of Ferrari's upcoming new models is the first time the company has given such a detailed view of its future products. He was speaking during the presentation of Fiat's 2010-2014 business plan on Wednesday. • A replacement for the 612 Scaglietti coupe and a spider variant of the 458 two-seat coupe, both coming in 2011. • A successor to the 599 GTB and a limited edition supercar to replace the Enzo, both coming in 2012. The supercar maker will also launch a face-lifted California spider in 2013. Thanks to these new models, Ferrari targets an increase in profitability with relatively stable volumes over the next few years, Marchionne said. Fiat provided combined financial projections for Ferrari and its other supercar brand, Maserati. The brands' combined revenues are forecast to grow to over 3.5 billion euros in 2014 from just above 2 billion euros last year. Marchionne also predicted that the operating margin of Ferrari and Maserati will increase to 15 percent in 2014 from 11.5 percent reported last year.